Gayle Keys is currently the Program Manager for Large Tractor Continuous Improvement at John Deere. During her career at John Deere, she has been through many roles in design & quality engineering in the Seeding Group and Harvesting Division. Most recently Gayle served as Engineering Manager in Utility Tractor product line. Prior to joining John Deere, Gayle worked for several years at McDonnell Douglas in St Louis, Missouri in the design of aircraft. Gayle is passionate about providing support and development of women in STEM fields and has spent the past 5 years serving on the advisory board of the Programs for Women in Science and Engineering (PWSE) at Iowa State University. Additionally, she has remained involved with SWE both at the Quad Cities/Muscatine section and now the Cedar Valley Section of SWE. Gayle holds a BS in Aerospace Engineering from the University of Illinois at Urbana-Champaign as well as a MS in Engineering Mechanics from the University of Missouri-Rolla. In 2005, she also completed and received her Executive MBA from the University of Iowa. 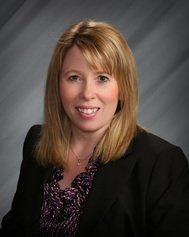 Gayle resides in Cedar Falls, Iowa with her husband and son and is an avid supporter of her son’s soccer team. 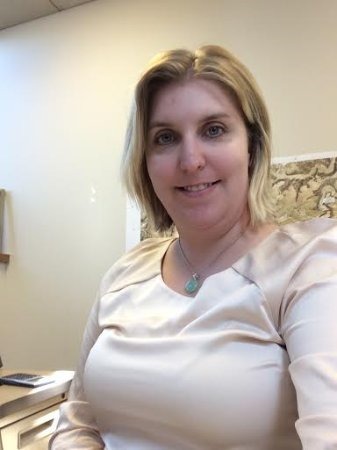 Jen Vogel is a Transportation Engineer with 11 years of experience in highway and municipal roadway, utility design and project management. She currently works as a project engineer for AECOM in Waterloo, IA. Prior to that she worked at HR Green in Cedar Rapids and SRF Consulting Group in Minneapolis. She graduated from Iowa State in 2006 with a degree in civil engineering. She is professionally licensed in Iowa and Minnesota. Jen has been an active member of SWE since 2004 where she held various leadership roles in SWE during her time at Iowa State. 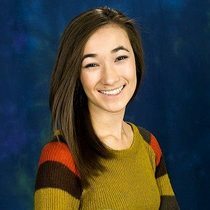 She was an active member while living in Minneapolis and in Cedar Rapids. She joined the Cedar Valley Section of SWE in 2016 and served as the Professional Development Chair, and FY18 Section Representative. She also participates as a mentor in the SWE-STEM program. Jen lives in Waverly with her fiancé and his 12 year old son. They have a cat named Sassy. She enjoys spending time with her family and friends, reading and boating. Amy Hou is a Senior Engine Controls Engineer for John Deere Power Systems. In this role, she is responsible for developing AUTOSAR compliant embedded software and controls for the Aftertreatment system. Previously, she has held positions as an Aftertreatment Controls Engineer, developing software controls and diagnostics, and as an Aftertreatment Development Engineer, working on SCR model-based development and virtual calibration. She completed the Engineering Development Program in 2016 with rotations in Component Development on Air, EGR, and Fuel Systems, Aftertreatment DOC-DPF Calibration and Development, and Engine Performance Analysis; additionally, she completed an internship in the Ag Division for Utility Tractor Transmission Continuous Improvement. Prior to joining John Deere in the Cedar Valley, Amy interned at Chrysler in Powertrain Development and at Toyota in Chassis Design, both located in the metro Detroit area. Amy graduated in December 2013, earning her B.S. in Mechanical Engineering from the University of Michigan. Amy has been a member of SWE since 2011 and served as the Cedar Valley Section Representative since 2014, most recently transitioning to Cedar Valley Treasurer in 2017. Outside of work, Amy enjoys playing tennis, country line dancing, being an active member of SWE, and volunteering within the community. Heather Rasmusson is a Hydraulic Test Engineer for Large Tractors at John Deere. She holds a B.S. in Ag Engineering from Iowa State University in Ames, and an MBA from Clarke University in Dubuque. She started her career with John Deere in 2004 as a design engineering intern at Ottumwa Works. After graduation, Heather started full time at Dubuque Works as an EDP, and also worked there as a test engineer. In 2008, she transferred to Waterloo Product Engineering Center where she has spent 7.5 years in design and 2 years in test engineering. Heather joined SWE in 2014 and has participated in local events, and has been a member of the JD SWE Conference Logistics Committee for the last 2 years. Heather resides in Jesup, IA with her husband Bryce, daughter Madison (7), and son Riley (4). When not at work, she responds to local 911 emergencies as a volunteer EMT and is a CPR Instructor for Jesup Ambulance. Heather enjoys traveling, camping, and spending time with family and friends.